So said my daughter Laura when I showed her the proof copy of my latest book, “Coming To Terms With Type 1 Diabetes”, to be launched in paperback this month to mark World Diabetes Day (14 November). It’s a lovely photo that captured her unawares, looking characteristically dreamy, described by her doting grandpa as “St Laura”. In this case, however, the serious purpose behind the book justifies the use of her photo, with or without her permission: it’s raising awareness of Type 1 Diabetes and raising funds for the search for a cure. This serious, incurable disease affects both Laura and my husband Gordon. 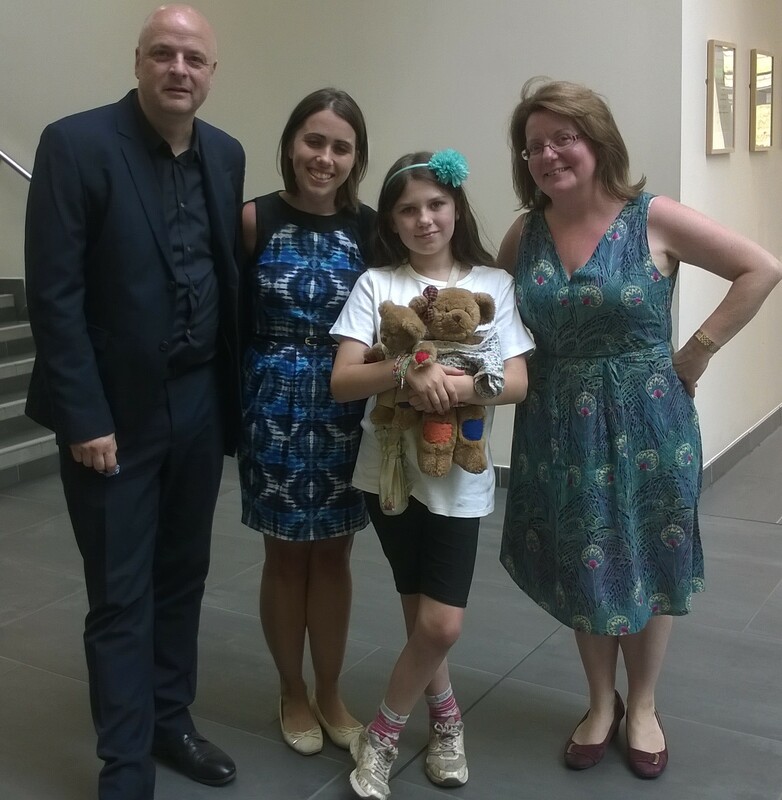 Laura was diagnosed at the age of just three. Her diagnosis hit me like a bereavement, and I went through the classic stages of grief, from initial shock and denial to acceptance. Determined not to let our family life be dictated by a medical condition, we have learned to move on in positive spirits and live life to the full. I hope that sharing our experience in this book will offer moral support to those in the same situation. It should also help others understand what it’s like to live with Type 1 diabetes, without having to ask potentially embarrassing questions of those who have it. Profits from sales of the book will be donated to JDRF, the leading charitable funder of Type 1 diabetes research. The more funds raised, the closer we are to a cure – which is nowhere near as close as was misreported in the national press last month. Sigh. If you’d like to come to the launch event, join me at Foyles Bookshop, Cabot Circus in Bristol on 13th November from 6-7.30pm for an entertaining evening. Special guests include Paul Coker, who has just climbed Mount Kilimanjaro for JDRF to prove that having Type 1 doesn’t stop you doing anything, and research scientist Dr Kathleen Gillespie, who will be telling us why good cooks make good lab researchers, and vice versa. That could add a whole new twist to the Great British Bake Off. To help me plan seating and catering, if you’d like to attend, please contact me via the contact form. 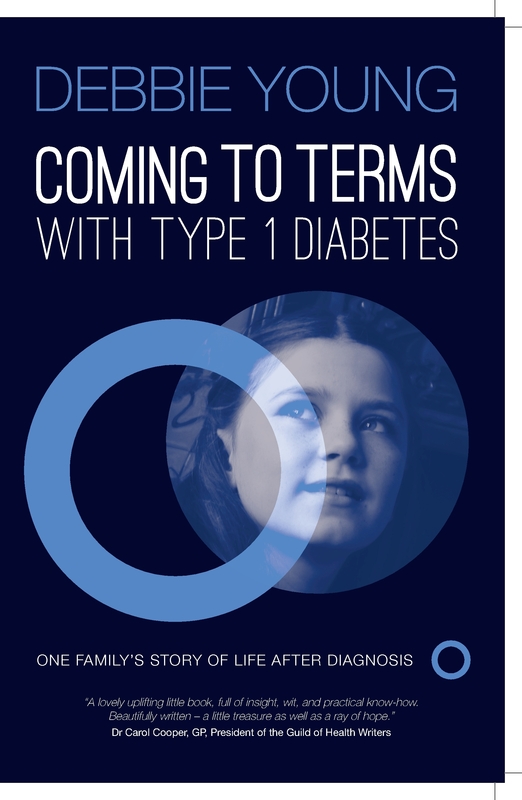 “Coming To Terms With Type 1 Diabetes” will also be available to order at bookshops worldwide and from online stores for those who can’t make it to their local bookshop. 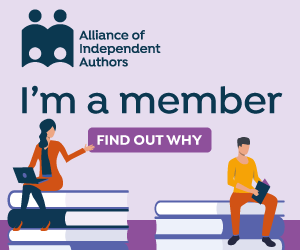 Please support your local bookshop if you can! The ebook, launched last year, will at the same time be updated to include the revised text plus new material. Next Post What is NaNoWriMo Anyway? Wish I could be there, Debbie. I used to write a lot about parenting, and your post brought back memories of my children begging me not to put them into a magazine article. Nope, I never asked permission to use their photos either. All the best for your launch. Your book will be such a big help to people with Type 1 DM.